petition: DEMAND AN END TO STRAY CAT RAIDS, NOW! DEMAND AN END TO STRAY CAT RAIDS, NOW! 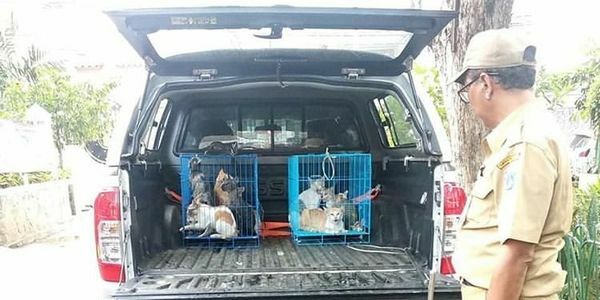 The current government, Anies Baswedan was said to have made this decision in a rush, to prevent rabid strays. They are picking animals up off the street, and even going into people's private homes and trying to collect their pet cats. One woman had to beg authorities to let her keep her beloved companion animals, sharing how she feeds them, cleans them, cares for them, and brings them to the vet to keep them healthy. However, there are no further informations on what will be done to these animals as of now. Are they to be murdered? Released? Treated and cured? What will happen to them? Demand justice for them NOW! WHY IS THIS NOT ON THE NEWS? LET THE WHOLE WORLD KNOW!